One of the greatest debates in digital marketing that can be as polarizing as Coke vs. Pepsi, iOS vs. Android, or Red Sox vs. Yankees, is to geo-target or not to geo-target in your paid search strategy. Geo-targeting capabilities within paid search engines have evolved and improved through the years. The right message to the right customer is increasingly crucial in digital marketing, which can be achieved with geo-segmented campaigns and messaging within PPC accounts. There are pros and cons when it comes to a geo-targeted campaign structure, and many considerations to identify what is right for your brand. Some clients require geo-level campaigns for reporting purposes, but there are strategies to achieve the same level of data insights without the task of creating and managing numerous duplicate campaigns based on geography. Below are some things to consider when making the decision to create geo-coded campaigns vs. national targeting. Customer experience comes first, so let’s starts with the basics. If your brand operates under a national, state, or regional footprint, you’ll want to make sure you are only targeting Paid Search within that footprint. Advertising to customers who are not within your footprint provides a poor experience and is inefficient, as you incur costs for clicks that cannot convert. This can be avoided by ensuring proper location targeting is applied to your campaigns. Once you’ve laid the groundwork, consider if there are regional offers that would be appealing to searchers. Varied pricing or incentives across the states or regions would be a strong case for specific geo-coded campaigns. If your business also has brick-and-mortar locations, think about separate campaigns and budgets that are targeted by zip code or radius with the goal of driving in-store conversions. Retailers often see success from hyper-local paid search strategies that are custom to a specific area. However, with the rollout of Google Enhanced Campaigns last year and the ever-growing importance of mobile, there are a lot of features that still give a customized experience within a single campaign. Consider the use of bid adjustments by geography and scripts that can dynamically insert variables, such as price points, into ad copy. If the goal of a geo-coded strategy is to analyze performance at a granular, location-based level, there are several tools available to achieve the same result with the ease of national targeting of your search campaigns. Utilizing a geographic report within Google Adwords can help you understand where your paid search traffic is coming from and identify demand hotspots. 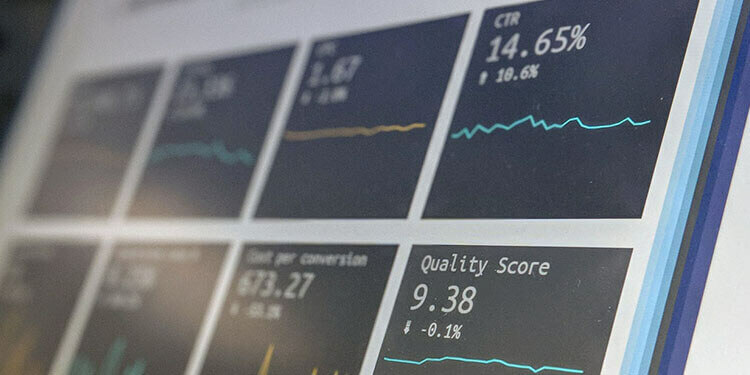 Web analytics packages, such as Google Analytics, can also help identify power users of your website or brand loyalists with higher conversion rates by location. From there, bid modifiers can be applied to ensure top positioning or go after brand awareness in a sluggish market. For most search marketers, KPIs are king. While setting up a geo-targeted strategy may easily give you the data points you are looking for by location, one must consider at what cost. Creating only geo-targeted campaigns leaves the potential for missing customers that can’t be mapped to a location due to browser settings. It can also lead to a poor user experience, as targeting is not a perfect science. This can be due to IP addresses, cell towers, or additional settings, and could lead to a message that is not valid in their area. Consider what the pros/cons are and how this could affect conversion rate and overall customer experience. Additionally, if you implement a “catch-all” campaign for searchers who don’t fit into a location bucket, you may find that with its higher traffic volume and increased search Quality Score, the majority of your traffic still flows into this campaign. From a CPC perspective, in my anecdotal experience, geo-targeted campaigns can see average CPCs up to 20%-30% higher than a national campaign. Think about what you could do with those additional funds from cost savings and better efficiency when evaluating your geographic strategy. If you are held to very strict efficiency KPIs, this can have a big impact on your program performance. A major factor to evaluate when weighing the pros and cons of geo-targeting is to understand total budgets, KPIs and overall goals. Understand your goals and compare this to the required level of effort to effectively manage a geo-coded paid search program. Remember, you will be managing exponentially more campaign budgets, bid management of keywords, and a complex negative strategy. Ask yourself if available resources allow you to devote the effort necessary to maintain a successful geo-targeted campaign strategy. If resources are limited, there are still steps you can take in your nationally targeted campaigns to achieve the same level of data insights by location. Like any great debate, there is no black and white answer whether geo-targeting is best. This post hopefully gives you some questions to weigh when planning out your paid search strategy. There is generally no one-size-fits-all strategy for every advertiser, but careful consideration can help you decide what is right for your business.